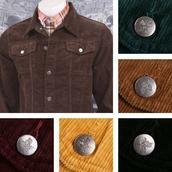 Harringtons - Few items of clothing have endured as persistently through the decades as the classic Harrington jacket. 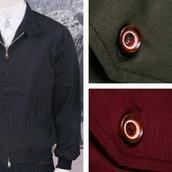 Dating all the way back to the 1930s, Baracuta are still making the same model more than 70 years later - the iconic G9. Made popular in the UK in the 60s, the vintage Harrington jacket has been sported by almost every British subculture ever since. 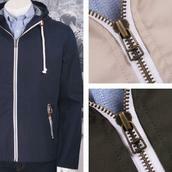 Browse our range below to find your perfect mod Harrington jacket from brands including Ben Sherman, Merc and Baracuta.